a partner in 1856. Founder Joseph T. Bailey died in 1854.
silver quality and the lion/S/shield mark was used beginning in 1855 to denote sterling silver. of quality sterling flatware, holloware, jewelry and novelty items. Partnership of Ebenezer Eaton Bailey and Samuel Chase Bailey. Bros. in 1885. Silversmith, jeweler and watchmaker. Bradbury M. Bailey and Wilbur F. Parker. Modernist studio jeweler. A former foreman for Frank Rebajes. Horace Baldwin Bacon and Henry McCobb Bacon. 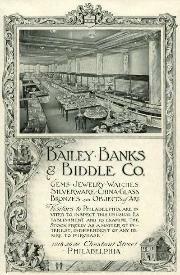 Acquired by E. & J. Bass in 1900.
then S.D. 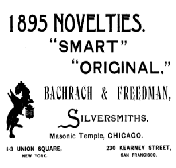 Bacon & Co. as a jeweler 1857-1880. Thomas C. Stephens. Primarily retailers. by Bailey, Chapman & Co.
Simon W. Bailey and John N. Chapman. Partners Joseph Trowbridge Bailey and Andrew B.
same until 1846. Forerunner to Bailey, Banks and Biddle. 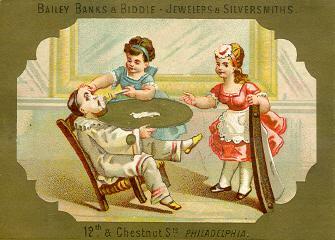 Jewelers and silversmiths. Roswell H. Bailey, and Samuel Chase Bailey. Ebenezer Eaton Bailey in Claremont, NH as E.E. 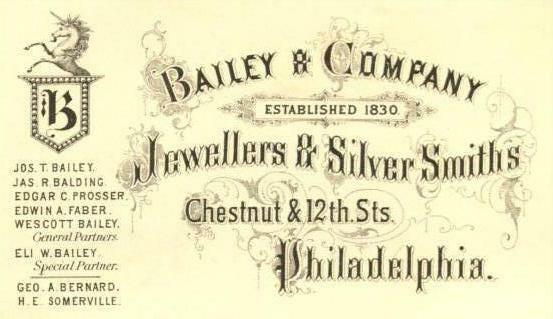 Bailey & Co. 1837-1839. Was in the firms of E.E. & S.C. Bailey 1836-1862 and E.E. 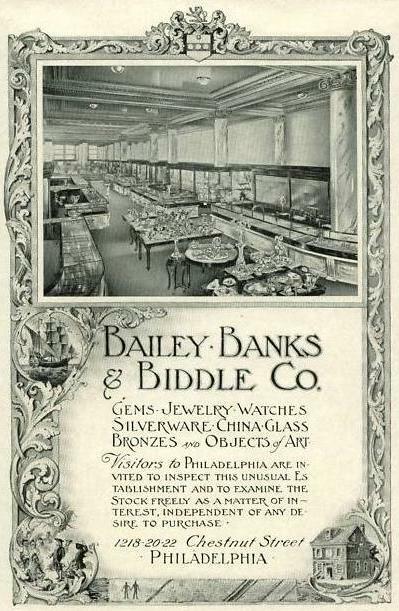 Bailey & Co.
in 1816. Silversmith and clockmaker. c. 1824-1828 then Davis, Babbitt & Co. 1828-1830.